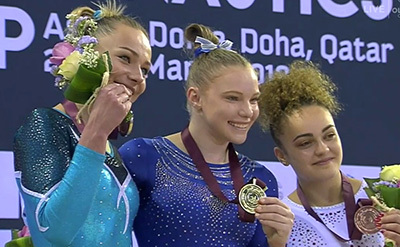 DOHA, Qatar, March 22, 2019 – Jade Carey of Phoenix, Ariz./Arizona Sunrays, won the women’s vault title at the individual event World Cup in Doha, Qatar. 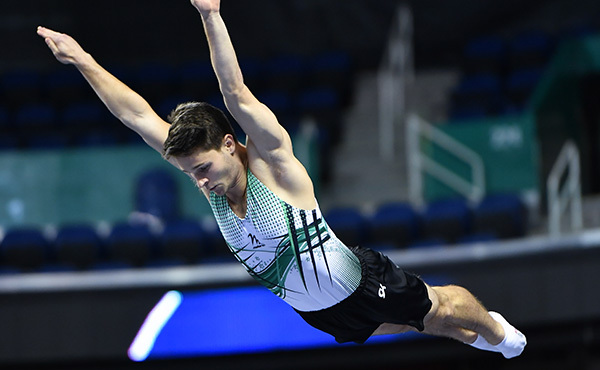 Competition concludes tomorrow at 4 p.m. Doha/9 a.m. ET with the final day of finals, with Carey competing in the floor final. 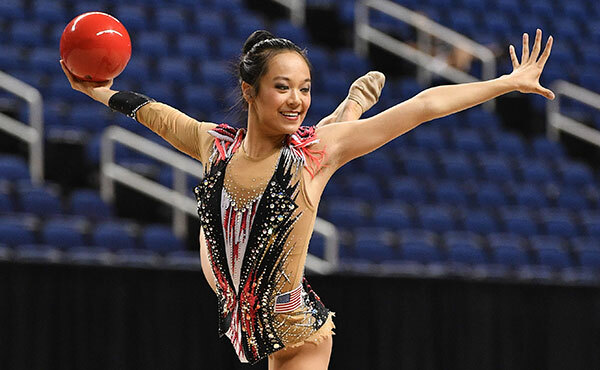 U.S. fans can watch the finals live at olympicchannel.com. 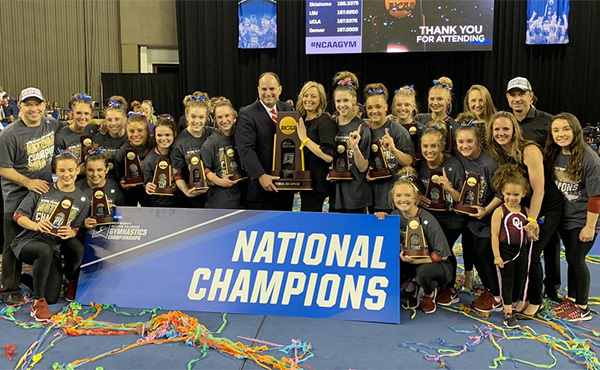 In the women’s vault final, Carey won the title with a two-vault average of 14.883. Russia’s Maria Paseka finished with a 14.766 for second, and France’s Coline Devillard was third at 14.549. Stephen Nedoroscik of Worcester, Mass./Pennsylvania State University, was sixth in the pommel horse final with his 13.966. Chinese Taipei’s Lee Chih Kai and Japan’s Kohei Kameyama both earned a 15.400, but Lee got the nod for gold via the tie-breaker. Japan’s Kaito Imabayashi landed in thirdat 15.433. 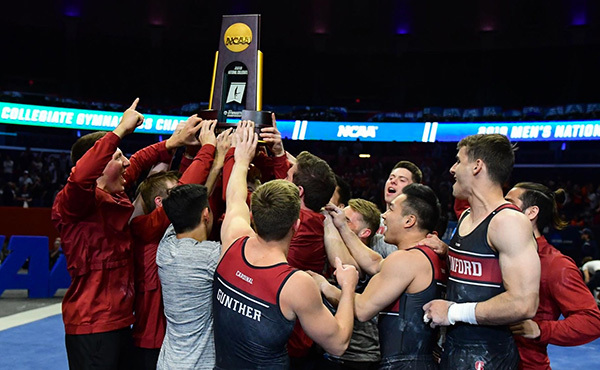 The other championships from today were: men’s floor exercise, Alexander Shatilov of Israel, 14.633; men’s still rings, Lan Zingyu of China, 15.100; and women’s uneven bars, Nina Derwael of Belgium, 15.033. 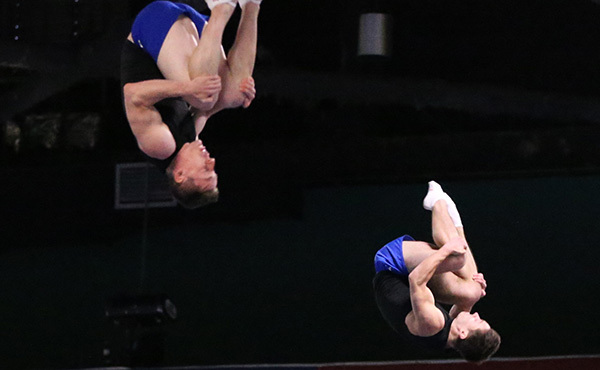 Held at the Aspire Dome, the last day of finals begins at 4 p.m. Doha/9 a.m. ET, and features men’s vault, parallel bars, horizontal bar; women’s balance beam, floor exercise. For live scoring, please click here. The online and cable coverage schedule for March 23 is 9 a.m. ET, livestream, and 6 p.m. 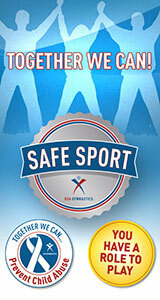 ET, telecast on the Olympic Channel with a simulcast, and for March 25, 1 p.m. ET, telecast on NBCSN with a simulcast.